Printer is a device designed for printing text or graphic elements onto paper or some other print medium (e. g. foil). There exist various technologies that affect the final quality, price and print speed. Impact - these printers use impact to create a dot or a character. Disadvantage of these printers is usually their higher noisiness. 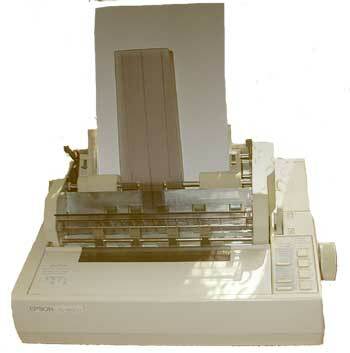 Dot matrix and daisy wheel printers belong among impact printers. Non-impact - no impact is used to print. The print head moves closely over the paper. Advantage of non-impact printers is higher speed and low noisiness. Inkjet, laser and LED printers are part of this group. Technology - the oldest printer technology. The way of printing is similar to printing on a classical ribbon typewriter. The print head containing a series of small pins moves from left to right (some printers also move from right to left and so add further dots = higher quality). Particular pins strike onto the paper over an ink ribbon and so create appropriate characters or simple images formed of particular dots. 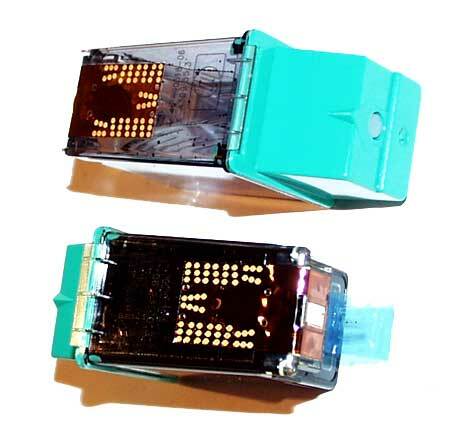 Parameters - the most important feature of a dot matrix printer is number of pins contained. 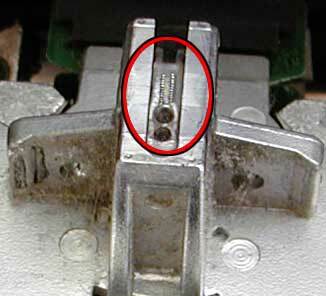 There can be 9 or 24 pins which determines the speed and the quality of the print. The print speed is measured in number of characters per second (cps - Characters per second). The speed usually ranges from 100 to 300cps. High-speed printers are an exception - there the speed can reach up to 1000cps. Configuration - is done over the push-button control panel placed on the printer. Configuration software for OS DOS. Drivers for Windows. In newer printers, the configuration software for DOS has been replaced by configuration with drivers under Windows. 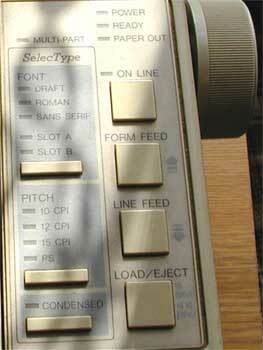 Settings for feeder - thickness, type and width of the paper. Settings - paper type, font type, font size, character set, print quality, encoding. Purpose - suitable for firms which want to keep low running costs. You can print on different paper formats, paper rolls and impact paper (cash register printers, bookkeeping, stocktaking, stock). Recommended media - fanfold and flimsy paper. You can print addresses on special stickers and then stick them on envelopes (fanfold labels). Some dot matrix printers have no fanfold paper feeder, you must buy this feeder separately as an additional part for an extra charge. Media that may not be used - foil, paper having a higher weight (over 100g). Advantages - very low price for one printed page (0,1 - 0,7 CZK). Possible to print onto fanfold and flimsy paper. Disadvantages - too slow and noisy. Higher purchase cost. High-speed printers are an exception - they are optimized for higher speed. Low print quality (about 100 dpi on a 9-pin and about 300 dpi on a 24-pin printer). Not suitable for printing images. Renovation - the ribbon can be replaced by a new one which does not cost much. But beware of wrongly made renovation because it can cause great damages. Manufacturers - the EPSON company is the best known manufacturer of dot matrix printers. At present, we can rather meet inkjet and laser printers. Technology - a new and still improving technology using ink print heads and a series of nozzles in them to spray black or color ink onto paper. Parameters - resolution, print speed and used technology are the most important parameters of an inkjet printer. Configuration - by help of drivers under an operating system. Settings - print quality, ink volume. Purpose - for home and office. If you buy an inkjet printer, you gain a quality color printer for a good price. If there is a daily need of printing numbers of documents, then a laser printer is recommended because of its lower print costs (black print only). Recommended media - common office paper A4, A3, special paper for inkjet printers. Media that may not be used - Paper having low paper weight. Foils. Fanfold paper. Advantages - black and color print providing nearly photo quality (up to 1200dpi) for a good price. Low purchase cost. Inkjet printers are very quiet; the more expensive types are also very fast. Disadvantages - Higher costs of consumable supplies. If there is no paper printed for a long time, there comes a danger that the nozzles get dry. To prevent this, you should sometimes run the self-cleaning process and always use quality paper. Higher print costs than the dot matrix and the laser printers have. The paper absorption and its right drying are very important - if this is not ensured, the quality of printed documents can lower. It is recommended that you wait till the ink gets dry by itself. Renovation - For a part of the price you would pay for a new cartridge you can buy refill ink and add it directly into the empty cartridge. But this brings a chance of damaging the printer and lowering the print quality. This is not recommended during the warranty. On the other hand, the costs lowering is great, comparing to the original cartridges. It is recommended that you only refill the black ink or individual colors. Low purchase cost, but higher costs of printing (1 A4 = 0,8 - 10KC). Costs of printing photos can reach up to several dozens of Czech crowns. It is suitable to have your photos printed in special digital photo-labs. I do not recommend you to buy cheap printers which use only one cartridge. 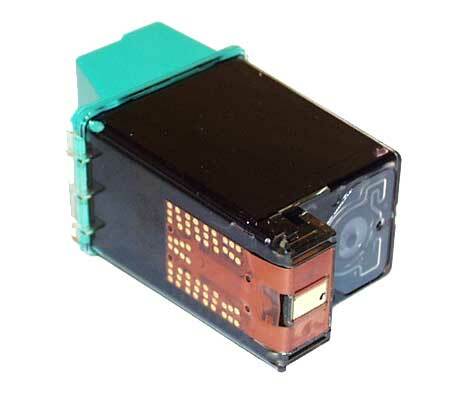 The cartridge must be always replaced by the other one according to how you want to print - weather in black or in colors. The print costs are also higher. More expensive printers bring higher speed and higher print quality, lower break-down rate and higher load. Separated cartridges and print heads ensure lower costs. It is ideal to have 4 cartridges - one for each color and one for black. Some of the high-format devices even contain 2 print heads with 6 colors. Removed or opened cartridges get dry very quickly. If that happens, a special detergent can be used to clean the nozzles. Cleaning may not always bring success; sometimes even damage can be caused this way. Technology - By help of a moving laser beam, the page´s image is created on the light-sensitive roller (by using static electricity). At place where the beam light is sent, positive charge is created. The roller moves, while the toner powder is being applied and attracted to places where the positive charge is. At the bottom part of the roller, the roller is pressed down to the paper and the image pattern is transferred to the paper. If you took this paper out of the printer and tried to touch it, you could see how easily the powder can be removed. Finally, the paper goes through the fuser which "irons" the toner powder onto the paper. The roller is usually part of the toner itself. 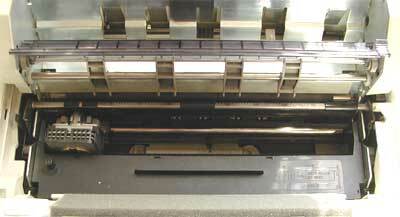 As in copiers, there also exist rollers separated from toners in laser printers. In color laser printers, there are 4 toners containing primary colors. LED printer (Light Emitting diode printer) - these printers have LED diodes instead of a laser - the technology resembles the laser technology, but here the laser beam is substituted by a LED diode. The best known LED printers are produced by OKI. Advantages: small size and lower price. LCD printer - instead of a beam, normal day light is used, shadowed by LCD display which transmits the light to a light-sensitive roller. Parameters - the most important parameters: resolution, print speed, required load, possible network connection, languages, memory size. Configuration - by help of drivers under your operating system. Settings - Print quality, resolution and toner intensity. Recommended media - common office paper. Copier paper and paper for laser printers. Media that may not be used - paper and foils sensitive to higher temperatures. Fanfold and flimsy paper. Light weight paper. Advantages - high quality print, low running costs. High print speed (page is printed at once, not in lines as inkjet printers do). Low noisiness (some printers are nearly inaudible). Disadvantages - Higher purchase cost of the printer. Black print only. Color laser printers are very expensive. Toner powder - mixture of fine plastic powder, dyestuff and iron. Renovation - Specialized firms refill the toner powder and sometimes also change the toner roller. Advantage: lower price, comparing to the price of a new original toner. But the manufacturers warn against lower print quality and printer´s service life. Manufacturers - The best known laser printers come from Hewlett Packard again, LED printers from OKI, but also copiers use laser technology, e. g. copiers from Minolta or XEROX. More expensive printers can usually be much heavily loaded, have lower running costs, support direct network connection, have additional paper feeders and other improvements for printing in large. Avoid exposing the toner cartridge to bright light, because it could damage the toner. Dye-sublimation printers - this special technology is based on vaporizing of dyes from a replaceable colorific band to a special paper. The dyes are applied one after another (YMC). After all colors are applied (the paper goes 3 times through the printer), some printers also spread a protective film over the paper. High quality of printing photos. The cost of print and consumable supplies are fixed - whatever you print, the costs will always be the same! (Olympus printers are the best known ones of this category). Thermal printers- to produce the optimal quality, these printers need thermal paper to be used. The print itself is carried out by tiny heated pins moving directly over the paper. This technology is used in cash register printers and fax machines. Daisy wheel printers - the oldest printers, very similar to typewriters. Particular characters are embossed on a rotary wheel. When printing, the appropriate character is struck against the ink ribbon, transferring the character's image to the paper. Slow, but cheap printing of texts. No images can be printed. Fonts cannot be adjusted. These printers are progressively replaced by dot matrix and newer printers. Large format print on A1 paper and larger. The inkjet technology is usually used. You can also meet a special technology which uses different classical or special pencils (and pens or markers) of different color and thickness that can be put into holders, where inkjet print heads are placed in normal printers. Used for drawings and vector graphics. They are equipped with inkjet technology for printing large posters. 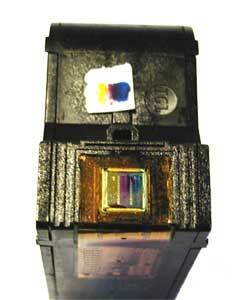 The colors are each in a separate cartridge which is a great advantage. Its disadvantage is its higher price that ranges from dozens of thousands up to hundreds of thousands Czech crowns (up to several thousands of $). At present, you can also meet new plotters using laser or thermal technologies. Bar code printers - these printers only print bar code labels (the Citizen printers are well known). Label printers - similar to previous bar code printers. They print identification cards or various identification labels, providing simple or advanced graphics printing. These printers are also used to print bar codes or special identification cards containing photos, bar codes and other information. Portable printers - small lightweight ink printers with low consumption, fed by batteries and often having infrared interface for portable computers. Disadvantage: higher price. Cash register printers - designed for small shops and for printing of simple receipts.